Recently I made these two cakes for two little girls who both turned 2 years old! 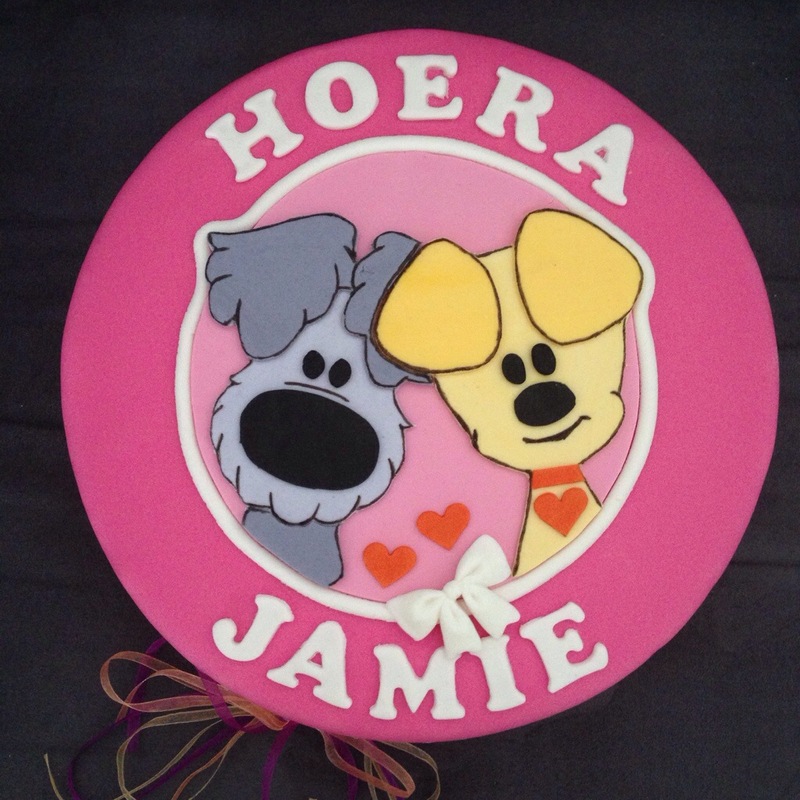 The ‘Jamie-cake’ with the two Dutch childrensbook characters called Woezel and Pip, is filled with a chocolate creme. 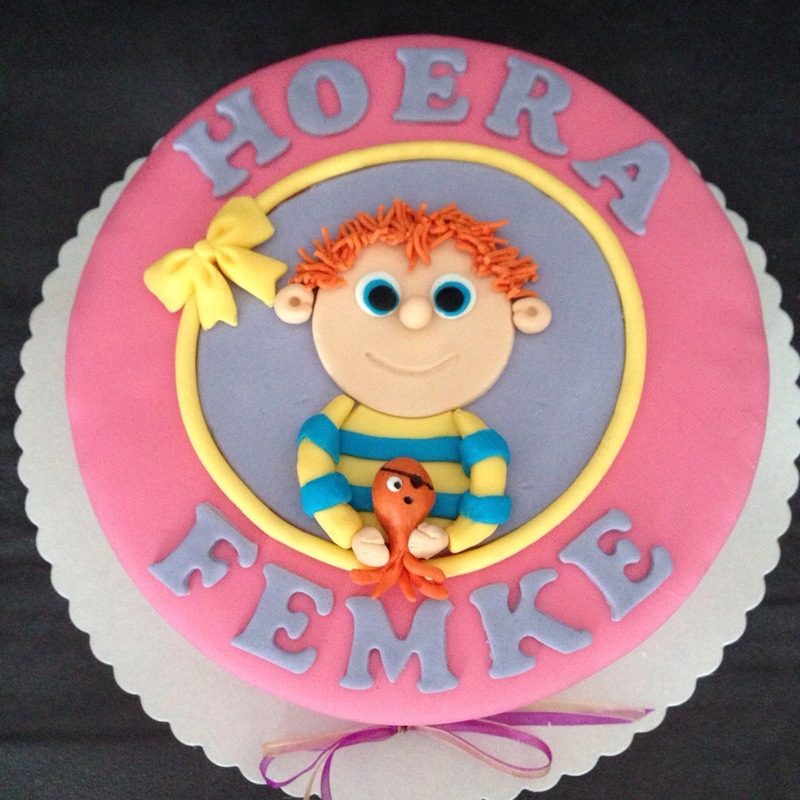 The ‘Femke-cake’, with Toto, a children’s cartoon figure from a serie called ‘Het Zandkasteel’, is filled with a strawberrie creme. Happy birthday to both of the girls! Posted in Eveline BaktTagged birthday, cake, homemade, taartBookmark the permalink.